Coconut Tree climbers are a rarity these days in Kerala and other coconut growing states of Karnataka, Tamil Nadu, Andhra Pradesh, Maharastra and Goa, with very few taking on the traditional profession. Coconut climbers are a very vital link in the production chain. The consistent supply of raw nuts for the market as well as for the processing sector can be ensured only by strict adherence to the regular harvesting schedule. In many areas, farmers are forced to seek help from migrant labourers, who charge exorbitant amounts, despite not being familiar with the art of coconut climbing. 'The scarcity of labour disrupts harvesting cycles thus causing loss of income to the growers. As against the general norm of harvesting cycles of 45-60 days, farmers are currently able to harvest only once in three to four months. Though the Coconut Development Board is training unemployed youth in palm climbing, there is a reluctance to enter this field because of the occupational risk and the arduous labour involved in climbing tall coconut trees. In the recent past there has been an array of coconut palm climbing devices developed by individuals, Research Institutions, Universities and NGO’s , which are claimed to be safe and easy to operate. But in spite of all the efforts taken in the recent past, there is still an acute shortage of trained coconut palm climbers for harvesting and plant protection activities. With a serious view to tackle this problem, the Board would be conducting a massive training program to train about 5000 underemployed youth in developing special skills and confidence in coconut palm climbing and plant protection activities for the benefit of the coconut community as a whole. To develop a professional group of youth under the banner of “Friends of Coconut Tree” for harvesting and plant protection operations in coconut. To impart training to a group of unemployed youth in developing technical skills, entrepreneurship capacity, leadership qualities and communication skills to address the needs of the coconut growers. 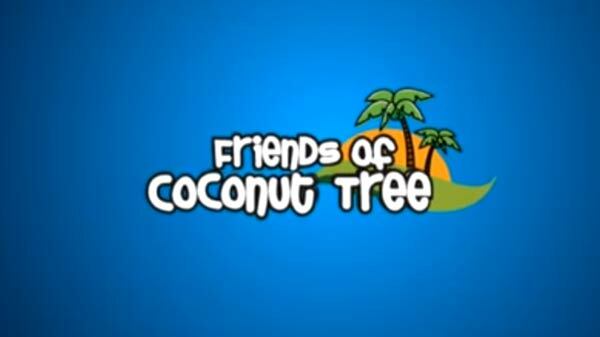 To make them self reliant and instill confidence in undertaking the responsibility of “Friends of Coconut Tree”. To tackle the problem of unavailability of coconut tree climbers for coconut farming and plant protection activities. Generate appropriate technologies to support sustainable growth of coconut sector and generate employment opportunities for the youth. It is proposed to identify, train and handhold at least 5000 underemployed youth under the “Friends of Coconut Tree” covering 10 major coconut growing districts of the state of Kerala. The identification of youth can be carried out through Kudumbashree units under the concerned local bodies, Kera karshaka samithis, Krishi Vigyan Kendras, clusters, Coconut Producers societies (CPS), youth clubs under Nehru Yuva Kendras, Vikas Vahini Volunteer clubs of NABARD(VVV), Primary Agricultural Societies, Coconut Growers Cooperatives, NGOs and Self Help Groups of NGOs.